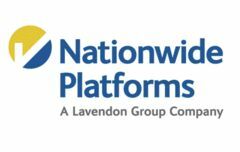 Britain based company Nationwide Platforms recently spent £24.5 million on its rental fleet for 2014. The money will be used to purchase around 700 new boom and scissor lifts. They will be taking place of the companies older fleet that is made up of around 10700 units. The 2014 cash injection marks the third year of mayor fleet replenishment. In addition more than £70,000,000 has been spent on the fleet since 2012 the company stated. The majority of the 2014 investment will go towards new diesel boom lifts and scissor lifts from Genie. The company will be making a further cash injection in their specialist vehicle division spending 3.5million on truck and van mounted platforms from suppliers Bronto and other companies. Jeremy Fish went on to say that the companies investment demonstrates the companies commitment to customers. He also suggested the company will continue to honour their longstanding commitment to providing a leading hire fleet across there 26 UK locations.